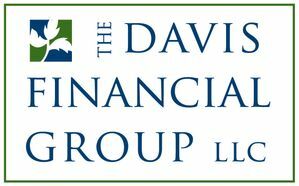 Lou Davis is a Financial Planner and Adviser at his firm, the Davis Financial Group, a fee-based financial planning and wealth management company based in Hadley, MA. As a long time entrepreneur, Lou came into the business of financial planning after a variety of other business ventures. Early in his career, Lou founded and ran an entertainment management company while working at Power Station recording studio in NYC. Lou's company, Leeds-Davis Management, focused on developing and managing the careers of musicians, recording engineers and record producers, including a number of Grammy winners. In the late '90s, Lou co-founded a web-based start-up, BountySystems, that provided B2B and B2C-oriented incentivized viral marketing applications. The team was successful in raising $15 million in venture funding, growing the company to over 60 employees in their midtown Manhattan office, and negotiating multi-million-dollar partnerships and service agreements with some of the day’s top web portals and businesses. After 9/11, Lou returned from NYC to Massachusetts and, after working for several years as a sales, marketing, and business development consultant, Lou served as the VP of Sales and Marketing at Market Street Research, a national marketing research firm based in Northampton, MA. The transition to financial planning was a natural one for Lou, as so much of what he had done in his earlier life is relevant to and directly informs his work today. Lou is a Registered Representative and holds a Series 7, Series 66 and a health, life, and disability insurance license. Lou serves on committees and boards of various non-profits, including the Hampden County Estate Planning Council, Congregation B’nai Israel, and Cooley Dickinson Health Care. Lou previously served as the President of Lander-Grinspoon Academy and as Vice Presidents of the New England Financial Marketing Association and the New England Society for Healthcare Communications.